We went to Target today & I stumbled upon this…so I decided that since we’re about 50% done with the bathroom renovation, we should get her a potty to start training soon. 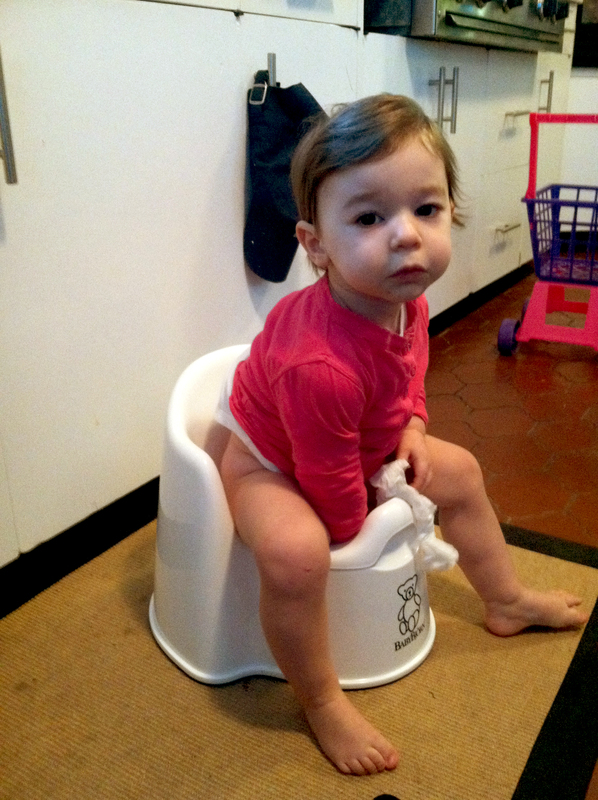 She sat back down & PEED IN THE POTTY!!!!! Reward = 2 M&Ms! I think I know someone who will be needing to “pee” a lot! Maybe … if she’s like her mommy … a lot, a lot! Daddy & Mommy are so so proud of you A!